Registry cleaners aren’t a magic button you can click to speed up your PC, as scammy PC-cleaning software developers would like you to believe. The Windows registry is a huge database of settings — both for Windows itself and for programs you install. For example, if you install a program, there’s a good chance that program would save its settings to the registry. Windows would also save pointers to that program. For example, if the program were registered as the default program for a certain file type, Windows would save a registry entry so it can remember that’s the default program. If you uninstalled the program, there’s a good chance it would leave all its registry entries behind. They’d stay in your registry until you reinstalled Windows, refreshed your PC, “cleaned” them with a registry cleaner, or deleted them manually. 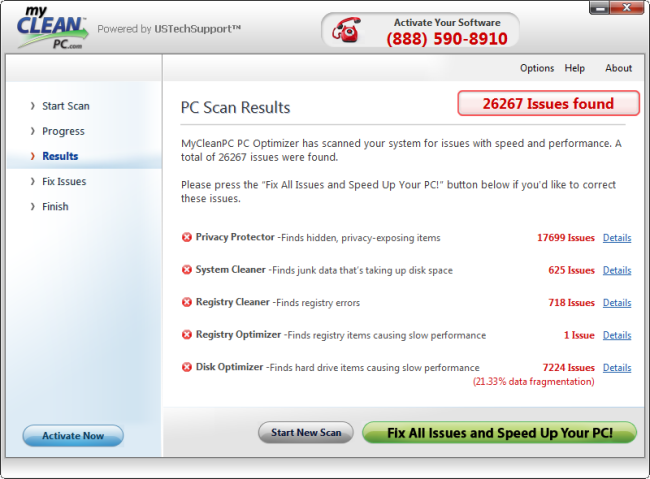 All a registry cleaner does is scan your registry for entries that appear outdated and remove them. Registry cleaner companies want you to believe that this would result in big performance improvements so you’ll buy their software. Registry cleaners fix “registry errors” that can cause system crashes and even blue-screens. Your registry is full of junk that is “clogging” it and slowing down your PC. 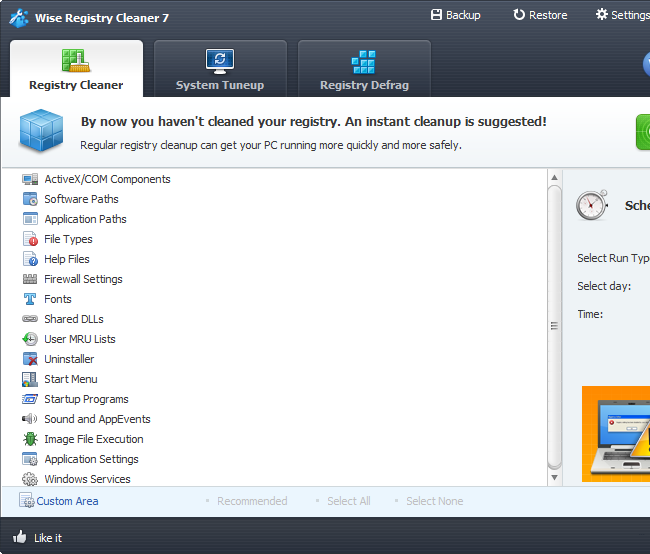 Registry cleaners also eliminate “corrupted” and “damaged” entries. If your Windows PC is crashing or blue-screening, you shouldn’t worry about “registry errors.” “Corrupted” and “damaged” registry entries also aren’t wreaking havoc on your computer, despite what the snake oil peddlers might want you to believe. If your registry is indeed corrupted, you have bigger problems and a registry cleaner isn’t going to fix it — you’d need to use System Restore, at least. There’s nothing “unsafe” about not using a registry cleaner. The leftover registry entries that accumulate naturally aren’t harmful. In reality, registry entries aren’t a drag on your computer’s performance. The registry is a massive database containing hundreds of thousands of entries and individual registry entries are fairly tiny. Even removing a few thousand entries won’t make an appreciable dent in the size of your registry. Now, if our computers only had a tiny amount of memory or an extremely slow hard disk, there could be some value to shrinking the registry a bit. But this will be completely unnoticeable on computers in use today. We don’t live in the days of Windows 95 anymore. The Windows registry has also become more robust as Windows itself evolved from Windows 95 to Windows 7 and 8. Now, it’s theoretically possible that a registry cleaner could help in some rare cases. For example, if a program left behind an invalid context menu entry in your registry, it’s possible that your context menu would take noticeably longer to appear in Windows Explorer when you right-clicked on something. It’s also possible that a registry cleaner would notice and remove this entry for you, solving the problem. In another case, you might have a ten-year-old computer with a very small amount of RAM and a Windows installation that’s seen thousands of programs installed and uninstalled over the case of a decade. A registry cleaner might theoretically help shrink the size of the registry enough to make the computer perform faster. Such situations are bound to be extremely rare. There’s no point in running a registry cleaner constantly — many registry cleaner companies recommend running their cleaner once a week. Such problems would be better dealt with by solving them when you encounter them. It’s likely that the average registry cleaner would cause many more problems than it fixes if it were run on a regular basis. And even if it’s completely harmless, it’s a waste of your time. So If a Registry Cleaner Won’t Speed Things Up, What Will? and shown you how to prevent this from happening. Rather than run a registry cleaner, you should just be careful about what you install in the first place. Even if you need to uninstall something later, a few registry entries — or even a lot of registry entries — won’t cause a slow down. If your computer is hideously slow or crashing frequently, you likely have more problems than a full registry and you’re probably better off reinstalling Windows or refreshing your PC.